We found the best apps for parents! Read about them here. Soon parents will be able to access an even larger resource of tools that enable families to protect and connect their families and communicate digitally more effectively. MamaBear’s feature list is expanding and growing with the company’s recent acquisition of KidNotice. KidNotice is an iPhone application that enables parents to privately and securely share a child’s vital information with trusted caregivers, such as neighbors, parents of the child’s friends, summer camp officials, etc. Using the app, parents can share a child’s “in case of emergency” profile and other vital information like allergies, food preferences and more with other parents and family members, teachers, coaches, babysitters, and nannies. That way, if an emergency occurs and a parent cannot be reached, the caregiver will be able to have the information on hand in order to respond intelligently and swiftly. Because KidNotice is built to protect families, safety was a primary building block in the program. All data and information within the application is secure and backed up in a Dedicated-Virtual environment managed by Media Temple (the same company responsible for protecting big brands like Samsung, Toyota, Starbucks, and Adidas). Like MamaBear, KidNotice is an app for parents built by parents. The inspiration for KidNotice came when a group of parents realized that over a given week, their children were cared for by multiple adults. With different caregivers, it was difficult to be sure that each adult had the information needed to care for the child knowing all their preferences and needs, and in case of an emergency. 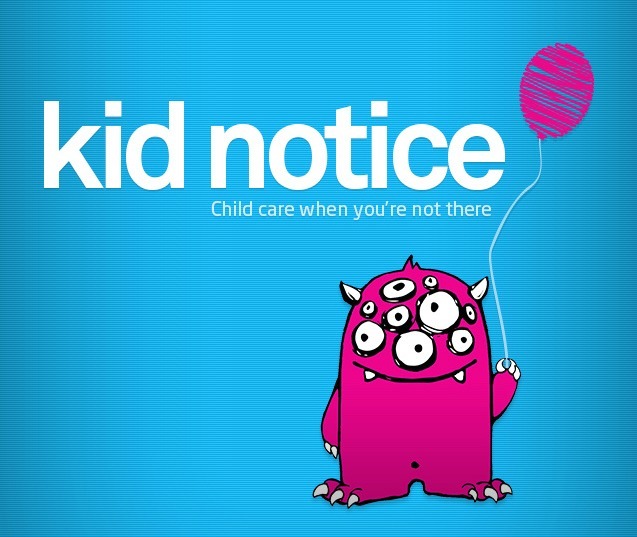 They created KidNotice to simplify the information sharing process and create a digital connection between each of a child’s caregivers. The KidNotice acquisition is the first since Suzanne Horton, a former venture capital executive at American Express, became MamaBear’s CEO and President. “MamaBear continues to expand the capabilities of our platform as we seek to build the most comprehensive mobile application that meets the rapidly growing need for a private digital resource to help parents and families stay informed, connected and safe in a complex and, at times, dangerous digital environment,” Ms. Horton said. “We have built and are continuing to enhance a valuable parenting tool that leverages the power of digital technology to help parents efficiently communicate with their children, extended families and other families, as well as better manage interactions, activities and shared information. The acquisition shows MamaBear’s commitment to growing their feature list in order to provide a comprehensive family safety and security mobile app. 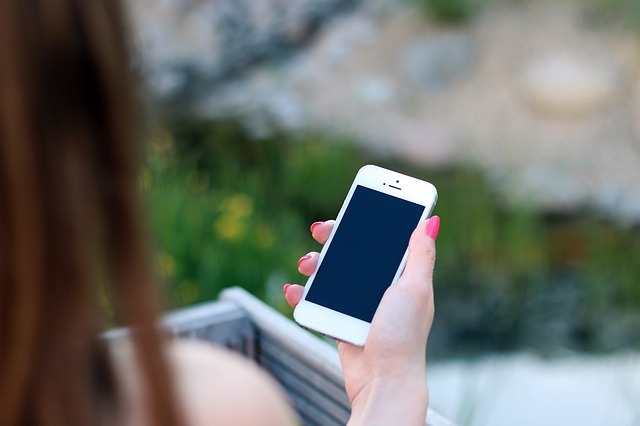 Smartphone and Telecommunication Protection: In the U.S., more than 27 million kids have smartphones and that number is expected to grow to 39 million within the next two years. Our technology helps protect the growing population of young kids with their own internet-enabled smartphones. Social Media Reputation Management: Seventy-two percent of teens have a social network profile of some kind. 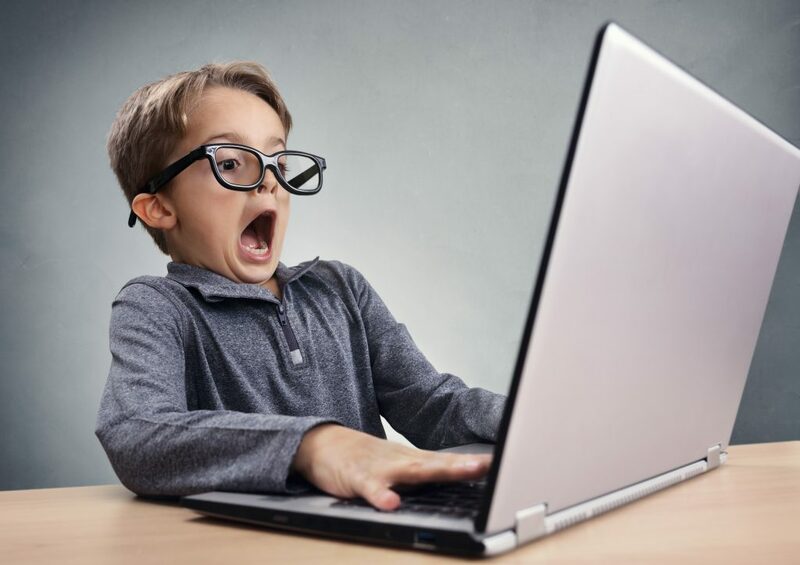 Fifty percent of those do not have privacy settings enables, allowing anyone on the Internet to see their personal data and photos. With MamaBear, parents can monitor and connect with their children through their profiles to be sure they are using the platforms appropriately and responsibly. 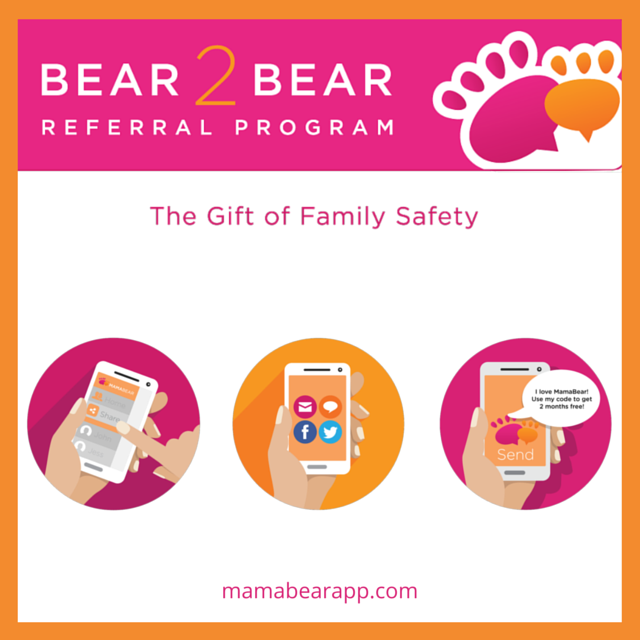 Secure Communication: Data sharing is important and necessary for parents, so MamaBear provides tools to connect in a secure and private setting. GPS-Enabled Connectivity: Parents can give their children more independence while keeping peace of mind by using MamaBear’s GPS-enabled tools that show the location of their children at any given time. Cyberbullying Protection: It is estimated that there are one million cybercrimes and cyberbullying victims per day across the world. We send parents notifications that can help them identify and stop cyberbullying at its early stages. With the acquisition of KidNotice, MamaBear will continue on its mission to be the all-in-one app for parents looking to more efficiently communicate, locate, organize, and protect their children. See it for yourself. Get started with MamaBear, The Ultimate Parenting App™ today by downloading the free app for your iPhones and Androids device. Make it a more enjoyable, organized, and productive year with these top apps for moms. If parents had it their way, a real doctor would be living in their house to answer their questions about bumps, bruises, and ailments. WebMD is the doctor in your pocket. The health app has an easy to use “symptom checker” that helps parents identify potential conditions or issues, and it also includes physician-reviewed content on healthy living and first aid tips. You already need to do a lot of shopping for your family, so why not get rewarded for it? This app that Oprah.com called “addictive,” shares the best deals near you and awards you points for visiting stores like Best Buy, Target, Macy’s and more. Points are then redeemable for gift cards. With multiple accounts between you and your family, accurate budgeting can be difficult. But Mint makes it easy to view and organize all of your expenses. With the finance app, you can create a budget and track your spending, as well as set up bill reminders and view your investments and credit score. An official partner of MamaBear and one of our favorites for staying on top of our kids’ team sports. It truly is the best online sports team management application for coaches, managers and organizers. It offers players and parents mobile notifications and email reminders keeping us informed and organized. Share it with your coaches as new sports seasons begin. Finally a tool that make chores feel fun! Through ChoreMonster, you can assign chores to your child’s account. The chores show in their version of the app and are gamified for their amusement. When kids complete a chore, they earn points, rewards, and “monsters” from the app’s Monster Carnival game wheel. If you find yourself writing notes on scraps of papers that you later lose — Evernote is the app for you. With this productivity app, you can access all of your notes in one place even if you are different devices. The app enables you to save notes, to-do lists, travel reservations, receipts, and photos in your account accessible on mobile devices, tablets, and desktops. A personal trainer in your phone, the Nike Training Club app will help you stay in shape anytime, anywhere. The app includes complete fitness programs and 100 workouts by Nike Master Trainers that you can watch on your device or connect to view on your television. Plus, you don’t have to miss out on the support and camaraderie of a live trainer and gym team. The Nike Training Club app (which tracks your progress) offers tips and motivation from its team of trainers and your connected friends. Coming up dinner ideas is never a problem with Allrecipes Dinner Spinner. Over 30 million home cooks have contributed to its collection of recipes, food photos, ratings, and reviews. If you aren’t sure where to start, use the Dinner Spinner (iPhone only) to shake your phone and find new recipes. Or look through unique recipe collections and search by ingredients, cooking time, and dietary need. Save all your recipes in your online Allrecipes Recipe Box. Simplify your grocery shopping with Grocery iQ. Choose your favorite items from their database of millions of items then easily create and recreate shopping lists. Use the tool to find coupons on your favorite items, and sync the app with the rest of your family so they can add items to your list. Connect and protect your loved ones with our family safety app that shares important news about your child’s virtual and physical activities. With MamaBear, you can sync with your child’s social media accounts, receive notifications when they get new friends and followers, and view their sharing activity. The app also features one-click check-ins and GPS services so you can have peace of mind knowing your child’s location and status. Do you have any other apps you can’t live without in 2015? Share your favorites in the comments below.